SureLight impressed the jury with their company producing a smart brake light for bicycles. Team SureLight, as a group of cyclers, wanted to improve security by using car's brake light technology and making it available for bicycles. 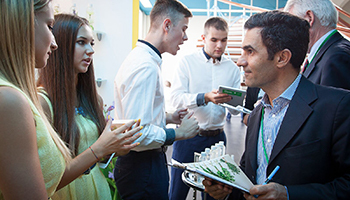 Over 340 000 secondary school students took part in the company programme this year, the best team from each country are competing to receive the JA Europe Company of the Year Award 2018. Over 200 students from 36 countries will compete and celebrate top mini-companies from across Europe. All teams will have the chance to compete for the AT&T Excellence in IT Award, the Citi Foundation Client Focus Award, the DELTA Innovation Award, the FedEx Access Award, the ManpowerGroup "Ready for Work" Award, the JA Alumni Leadership Award supported by AXA and the TeleGroup Best Business Philosophy Award. 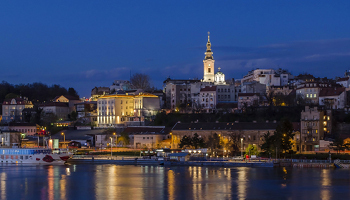 Belgrade — meaning 'White City' — is the capital and largest city of Serbia with a population of about 1.7 million people. It lies on the confluence of the two major European rivers, Sava and Danube. 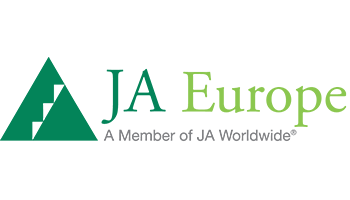 Since its launch in 1919, the JA Company Programme has been teaching students how to take a business idea from concept to reality. They form their own real enterprise and discover first-hand how a company functions. They elect a board of directors from amongst their peers, raise share capital, and market and finance a product or service of their own choice. Each year our COYC jury consists of 10 outstanding men and women from across Europe. As senior professionals from a variety of organisations and businesses, the jury members are able to share their expertise and experience, providing key insights.